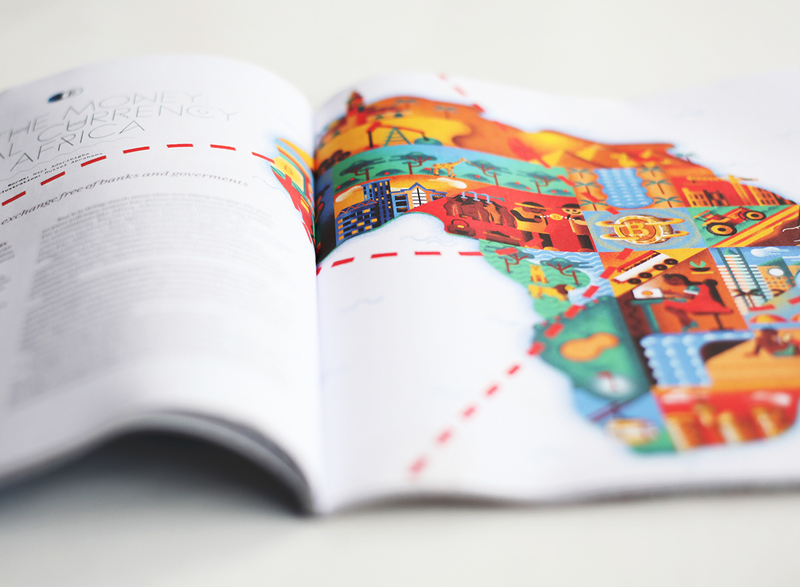 I was asked by the good people over at Ogojii magazine to create a full page illustration inspired by an article written by the talented Niyi Aderibige. 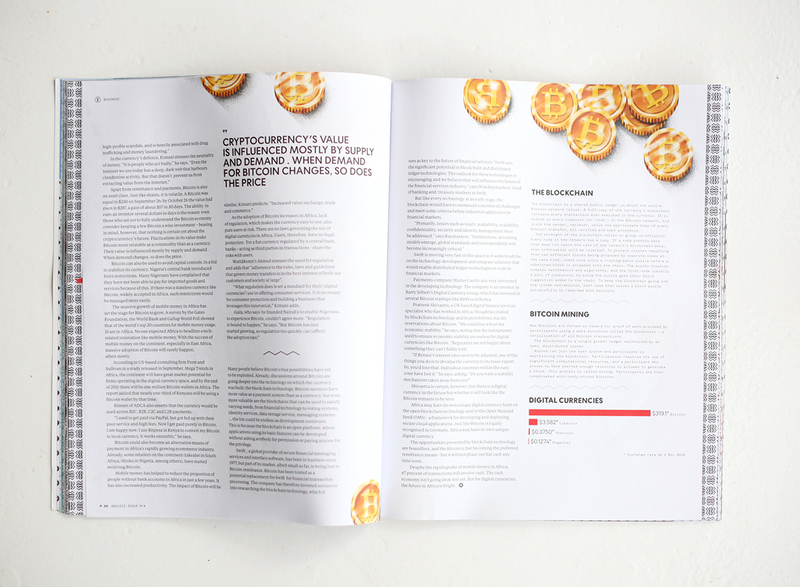 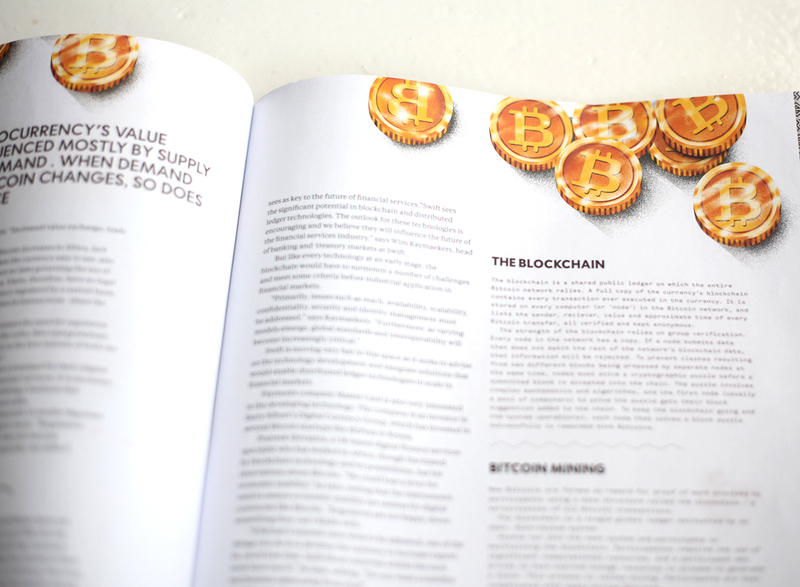 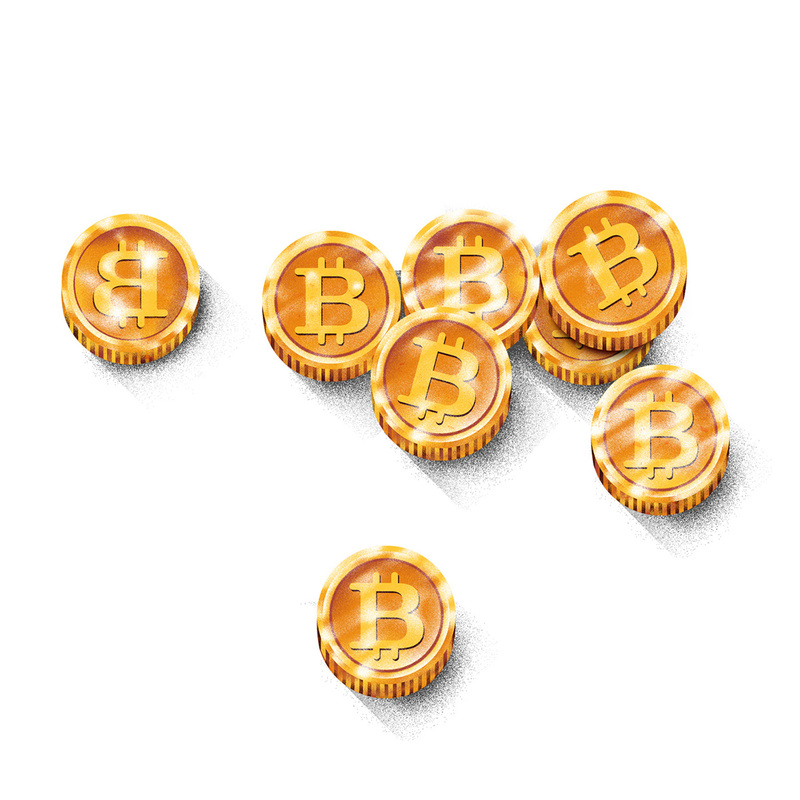 I was also asked to illustrate some Bitcoins to accompany the second page of the article. 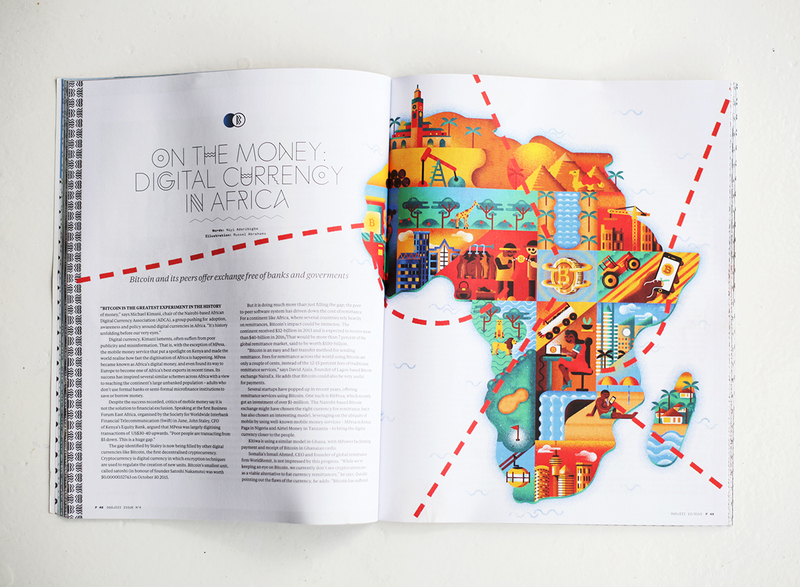 The Article is titled Digital Currency in Africa and talks about the growing use of Bitcoin in Afirca. 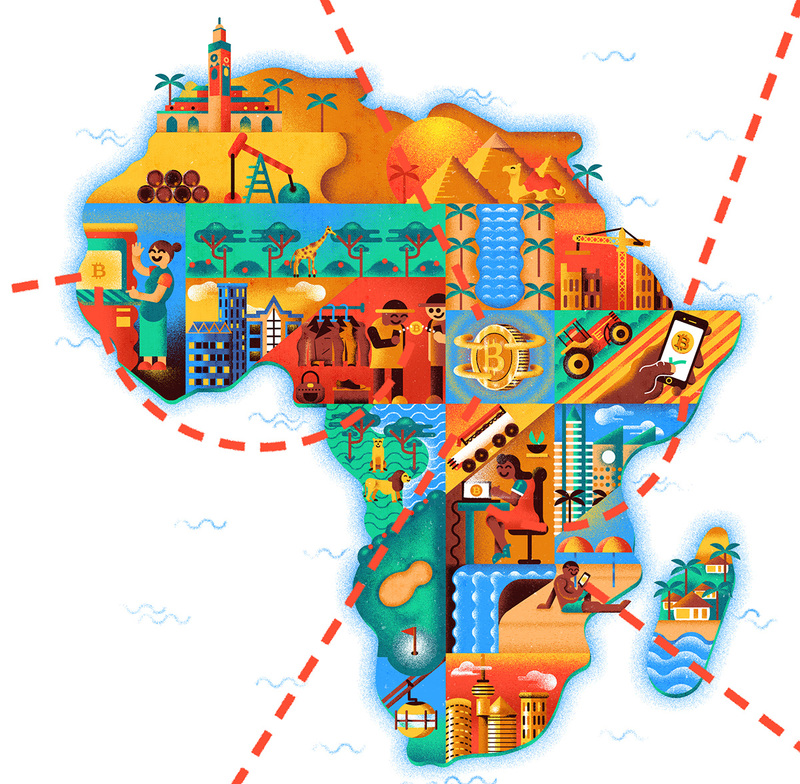 With such an interesting topic, I really wanted to capture the essence of Africa and take the viewer on a fun little journey.